Have you had to step in when adults overwhelm your child? It may feel awkward or frustrating, but here’s why you need to intervene—and how. Imagine a family party and everyone is playing with the younger member, a two-year-old child. Grandpa is bouncing her up in his arms in what started as a game but has now been too much for her. Unfortunately, grandpa is oblivious and thinks the little girl is still having a blast. How do parents know when to intervene with family and friends—adults who may overwhelm kids but not know it? You may not be close to everyone. Sure, you can tell your mom to back off, but what about a distant aunt or your co-worker’s husband? You may not feel as frank with them as you would those closer to you. Some people can be easily offended. We all know people we skirt around or phrase our words carefully. One word or action can offend others, even if your intention isn’t to. You want people to still feel comfortable around you. People might start feeling like they’re walking on eggshells around you. You want to stand up for your kid without being that person who scares people into think you’ll blow up or make a big fuss. People disregard your requests. Some people, despite your constant interventions, continue to disregard what you say. They might think you’re making a big deal out of nothing, or they know what they’re doing. You might even feel like they’re parenting your kids. For many young kids, they can’t speak for themselves. Infants and toddlers can’t say they aren’t enjoying the hugs they’re forced to give. Or that they don’t want raspberries blown on their bellies. Adults may not always take kids who can protest seriously. Even if your child can tell others to stop, adults can still assume that they know best. They might brush your kids off or continue to have a laugh at their expense. Your kids feel reassured of your support and trust. It’s tough facing adults, so when your child sees you stepping in on her behalf, she knows you’ve got her back. You’re reinforcing the trust she has placed in you. You know your child best. What may seem fun to others may feel overwhelming or embarrassing to your child. Some kids take to laughter and jest more easily than others. Some instead might feel anxious facing new environments and people. Others yet might withdraw when they’re the center of attention. What works for one kid may not work for another, and you’re the best judge of how much your kids can take. 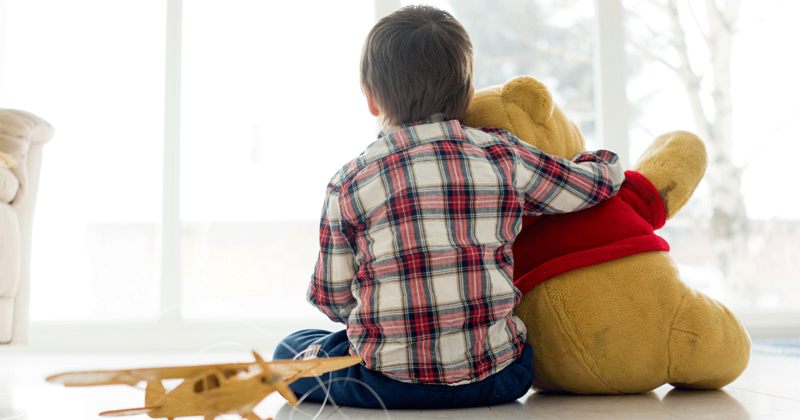 Get more tips about dealing with your child’s anxieties. Your child needs you to be his advocate when he feels he has no voice. 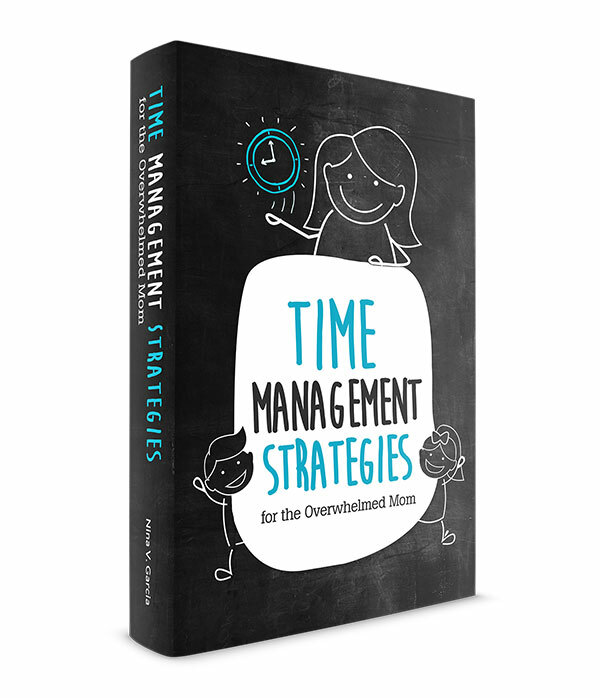 So, when are some of the instances when adults can overwhelm your kids? We’ve all seen our kids laugh during a tickle fest. kids still laugh even if they may not be enjoying themselves. That’s why you’ll see the laughs explode into tears because they’ve had too much. I’m a huge fan of rough housing and playful parenting. Laughing releases the same frustrations and worries a child may have as crying can. Plus I would rather hear laughter than cries! The trouble happens when adults don’t listen to the kids to see when they’ve had enough. Grandpa could be having the time of his life raising your child in his arms up in the air. But he could also be terrifying your child by carrying her up and down. Teasing kids is treading on a fine line. On one hand, teasing can be simple banter between adults and kids or even among children. But usually, teasing is one-sided entertainment at the child’s expense. I once saw an adult poke fun at my son while he remained completely clueless. Before it could go any further, I told my son, “He’s teasing” and made sure the adult didn’t continue. 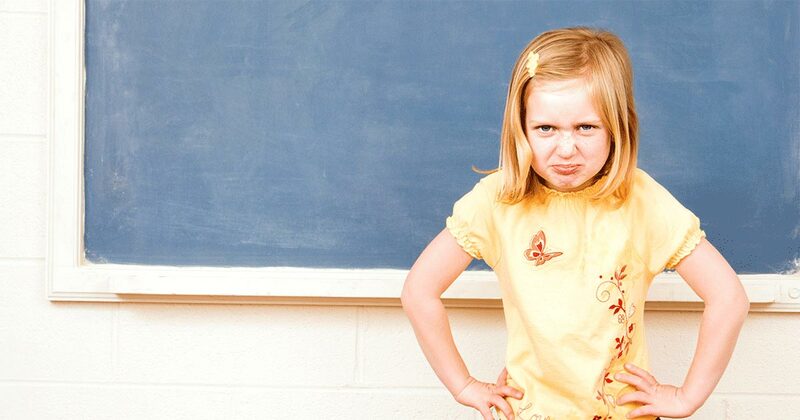 Learn how to respond when adults tease your child. 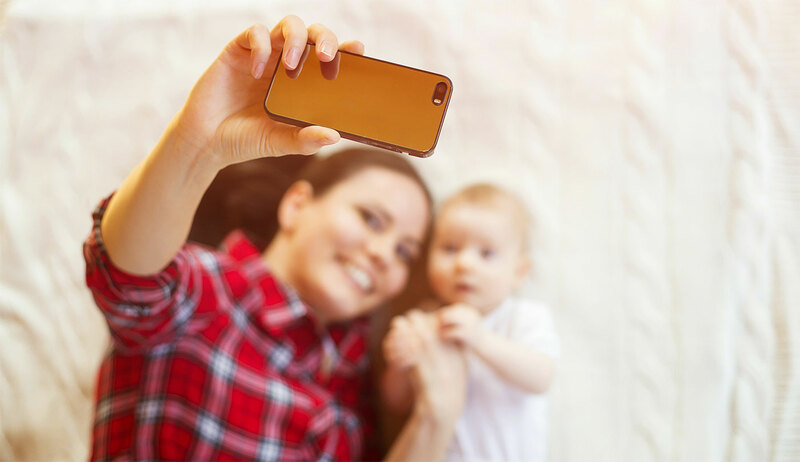 With smart phones and social media, our kids will only know a world filled with photo opps. And while many times kids let us take their photos, sometimes it’s the last thing they want to do. Well-meaning adults can force kids to stand in front of the camera, pressuring them to smile. Read why you shouldn’t force kids to take photos if they don’t want to. Don’t force kids to take photos if they don’t want to. If your family is like mine, good manners mean hugging every adult, regardless of how the child feels. I’ve moved away from this tradition and instead invite my kids to give kisses and hugs if they want to. And you know what? It’s worked. They usually enjoy giving hugs on their own. And they’ll settle for giving high-fives for the times when they’re not in the mood. Honoring your child’s emotional and physical boundaries reminds her that her body is hers. Rather than forcing a child to hug, encourage it, model it yourself, and give an option if they don’t feel like it. Kids who aren’t forced to hug aren’t being rude. Instead, they want to hug everyone without their parents forcing them to. Read why you shouldn’t force kids to hug everyone. Don’t force your child to hug everyone—wait until he’s ready, or offer a high-five instead. Tickling, rough housing, taking photos—these are normal interactions between adults and kids. How do you decide when to intervene? When it’s just too much for your kid? It’s about respect. Is the adult respecting your child, or is the entertainment one-sided? Is the adult ignoring your child’s best interest? 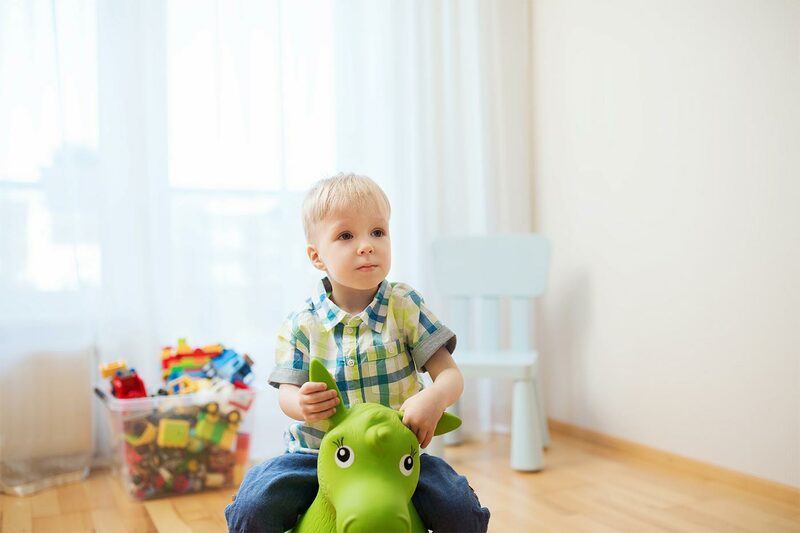 It’s a tough balance between stepping on others’ toes and telling them ‘that’s enough.’ But if your child isn’t having a good time, feels frustrated or is the object of others’ laughter, then step in. 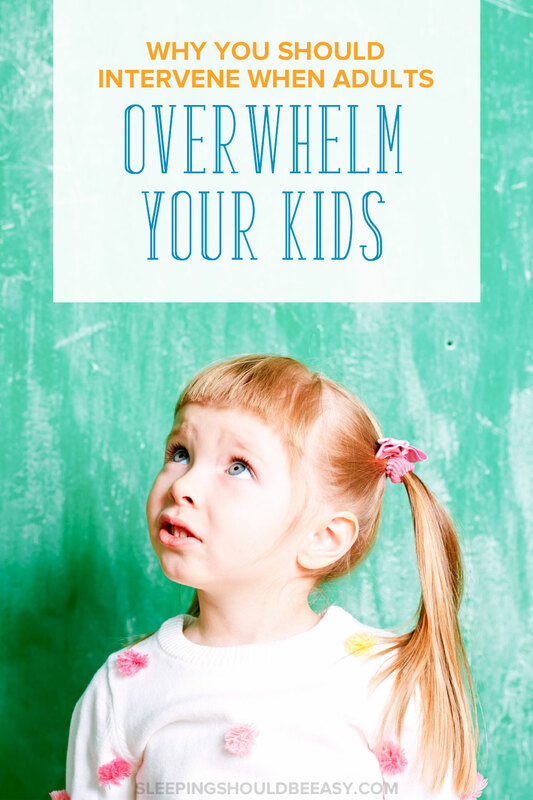 Tell me in the comments: How do you intervene when adults overwhelm your child? Great article! I’ve definitely come across these. The one that stands out the most is an adult teasing my son, all in good spirits, but like you said, it’s one-sided and only gets a negative reaction out of my son. As my son’s gotten older, I think he’s been good about saying (or yelling) “no” when he’s had enough. Luckily, nothing has ever gotten out of hand. I’m lucky I don’t have many relatives ;). Thanks, Lisa! Yeah the funny thing is that most adults don’t have bad intentions of it, but maybe just not as discerning as parents. Any time my kids “aren’t in on it” I put I stop to it. Thankfully no one really bothers them but it does innocently happen from time to time. I have to do this with my dad. He has always been one to push us to try harder, keep going, make one more free-throw before dinner, etc — in a lot of ways this can be a positive trait but with my very tender-hearted 4 year old, it’s just too much. It’s a balance, isn’t it? You have to know when to push and when to retract. I’ve had to learn this lesson myself. Great post! I agree , I’ve seen the tickling, teasing, and rough-housing go too far. Your children need to know that they are safe, and Mommies and Daddies have every right to defend their little ones. I think so too, Nikki. Sometimes it’s hard to feel like the uptight parent, but when done casually and with good intentions, it’s more important to do that than to just step back and not advocate for your kids. What an awesome post. My kids have SIX grandparents! That’s a lot! And no one really likes teasing but of course, there’s a teaser or two in the bunch. My kids generally hold their own but you can tell when the laughter turns to protests, and I generally don’t step in until the last minute if I have to, but I will. Wow six! Mine only have 3 and of those 1 is out of the country. Great post! Some adults don’t know how to stop. My husband and I are pretty firm about certain boundaries being crossed. I really don’t like it when people try to take over and parent my children. Yeah, I appreciate the help but you know when it crosses to overstepping! Thankfully not too many people do that to us. I could not agree more with this. I am already “that person”. 😉 Both my boys have issues with this (in different ways). One needs physical space — does not enjoy hugging, etc. The other is extremely sensitive to noise, movement, etc. Both become overwhelmed/overstimulated very easily. I intervene on many occasions for them. Some people think I’m a “helicopter mom”. Don’t care. My kids know that, if I’m there, I’ll help them out of an uncomfortable situation. Yeah, I think certain personalities need more advocacy. Like, I know some kids who could wing people’s comments, and others who really need to have their parents’ back. I don’t necessarily think it makes you out to be a helicopter mom ( to me, that image is more like the mom who doesn’t let her kid struggle or saves her kids from everything), but just making sure people don’t overstep your child’s boundaries. I think it also depends on who the people are, too. Some folks are just outright more overwhelming to kids than others! My extended family has a strong culture of respecting kids, but yes, I have intervened with my in-laws before. Thankfully a majority of our families respect kids, especially when the parent intervenes (rarely will someone make a joke or comment about a mom intervening). Thankfully we haven’t had to intervene in any of these types of situations – at least not from adults. What we see more of is other kids (usually cousins or siblings) not being able to understand that a younger child really isn’t interested in what the older child wants. But your article will definitely make me think twice when seeing an adult play with a little one. Oh interesting—I hadn’t even thought of older kids but I can imagine that would also need some monitoring as well! I have this issue with my Father-in-law. My older two will gladly give out hugs and kisses before and after a visit, but my youngest is very stingy with his physical affection and he shuts down when forced. I try to jump in and encourage a high five, but sometimes my timing is off and I end up with a mad FIL and a tantrum-y 4YO. I really do try to err on the side of protecting my littlest one, but the in-law relationship is already strained and keeping the peace has to be taken into consideration. Good point, Rabia. And that’s why I struggle with this sometimes because I know some people whom I have to walk eggshells around or sort of let is slide because it’s as if me saying something would totally offend them. It was really tough for me to balance. Generally I tended to advocate for my kid, but it sure felt strained. This is a great article, but I have a question. What if it is the parents doing the teasing of the child? I have a 4 year old Niece who is constantly teased by her parents (mom and dad) and besides stick up for her some there is not much I feel like I can do. If I say to much I face not being able to see my Niece again therefore I would not be able to do anything to help her. I Cannot get any one else involved because teasing is hard to prove and not “life threatening”. What should I do for my Niece and the teasing she faces? Wow I can’t believe you wouldn’t be allowed to see your niece just by saying something. If that’s the case, I would simply shower your niece with love and stick up for her once in a while, or even tell the parents in jest to stop it. This is a great topic that I haven’t seen covered. So often we don’t step in because we don’t want to hurt the adult’s feelings – but what about our children. My momma bear behavior comes out during these situations even though I am usually a more introverted person. It’s true Natasha, there wasn’t a lot of information about this topic. I’m all about being our kids’ advocate, obviously with social etiquette. I have had to deal with nearly everything you mentioned, plus more! I tend not to worry what others think, because I’m the one who has to deal with the screaming when my son gets out of sorts. It started very young – he was so easily overstimulated as a baby, particularly by grand parents. Even too much fun would result in him screaming that night. I’ll never forget the grandparents trying to make him walk on grass in bare feet. He hadn’t started walking yet, and has always been very cautious about grass, wouldn’t crawl on it. I found him screaming, one grandparent on each side holding his hands and forcing him to walk. I was furious that they were doing that when he was so obviously distressed, by the walking, by the grass, all of it. So wrong. We now know he has sensory issues as part of Austistic Spectrum Disorder. Back then, I just knew that there was no point forcing things on him when he wasn’t ready. Rachel—that’s now I felt too! I was the one who was going to deal with my kid later when the party ends. I can relate to the over stimulation as well. I think adults have this skewed thought that kids will just get over it, like your child walking on grass. My mom stayed with us for a few days recently, trying to help us out (bless her heart), and I noticed that she “tries” to play with my boys, but she doesn’t really play WITH them, so much as she takes over, insists on doing something else, and keeps trying to pull them into it. You know, the, “Hey, look at what Grammy is doing over here with the blocks! Doesn’t this look like fun? !” And the 5 year-old is like, “But Grammy, I thought you were going to play cars with me?” Fortunately, mine are old enough and bold enough to stand up for themselves, and eventually, they just stopped trying to play with her, which was sad for her, but totally deserved. She wasn’t respecting them as human beings with desires, just trying to direct their every move. Now, on one of the days that she was here, we had a few other kids over for a little Lego Camp, and, when she tried to do this with them, I stepped in. They had just settled in and started building, and she kept interrupting them to talk about how great their clothes were. I was like, “Please don’t distract them right now. They’re trying to concentrate on what they’re doing.” And of course she got offended. But she used to be a teacher! She should know better! We teach our kids to use the word “stop” when they are done with tickling/roughhousing/etc… As it is our practice at home that we quit the minute we hear that word, it is then fairly easy when out of the house to tell other adults or older children, “[our child] is saying ‘stop’ – that is our ‘it’s too much now’ word.” A lot of people I encounter are used to hearing “stop” as a teasing, but not really meant, but I’ve never dealt with anyone who didn’t comply once they understood how we use it with our kids. I also don’t feel bad asking others to take their loud/scary/etc objects away or tone them down for my sensitive kiddos – I just tell them how much it hurts my kids, and ask them to wait or move to another spot if I can’t move my kids myself. Our kids deserve to be respected! Awesome tip with teaching your kids ‘stop,’ Jen! I should do that with my kids. My husband tends to be the tickler and roughhouser, and he’ll usually stop when the kids say stop. If he doesn’t or doesn’t hear them, then I’ll pipe in and say, “He said ‘stop'” so that our kids know we value it when they say no or stop. This is good, but something that would be helpful are some catch phrases or even some suggestions of what we can say to these adults overwhelming our kids. We know we need to say something, but what exactly? And how? But in general, I think it really does depend on the situation and the people. Family dynamics differ so much. Personally, I resort first to humor, and if that doesn’t get the point across, I say the reason and assert myself more. My father in law like to call his grandchildren names. Things like “you are a Jam Tart” or “you are a Cake”. I am not sure the kids understand it, and it seems like an insult and I can only see it as one-sided rather than a shared joke. It makes me uncomfortable and I cannot see it as positive for the receiving child. What is your opinion on this when grand parents call children names that are not understood by the child? Harmless teasing, or should I step in? Without knowing your father-in-law, I would guess that a few things are happening: one, I think he means well. I don’t think he’s purposefully saying those names as a way to insult the kids. On the other hand, I also don’t think he “gets” that his jokes aren’t all that funny and can even be confusing to the kids. Because like you mentioned, he’s the only one getting a laugh out of it. I tend to stand up for the boys, We have sensory and social issues and believe me other people don’t understand. Young or old I’ve had people give out to me for the way the boys behave or the way I deal with them but I’m noticing more and more we don’t mix with those people as much any more and as there’s nothing in it for them they don’t tend to push it anymore either. They don’t get a kick out of it if I say politely ‘no we don’t do it like that with the boys’ or ‘no we don’t do that in this house’. We do see more of our family and friends who are the same as us and who believe the same as us that we need to watch and listen to small people to keep them calm and not upset them. thank you for a great post! I can only imagine how frustrating it must be to constantly have to defend and stand up for your boys because of sensory and social issues! It’s so easy for folks to assume that they know what they’re doing, isn’t it? I’ve always believed every family is different and what works for one may not work for another. Glad that you’ve found a supportive group who know better! I have this problem with my inlaws. They don’t get to see my kids (22 months, 3 weeks) very often and they are often quite smothering. My FIL likes to wind my toddler up to the point of hysterics, while my MIL is constantly in his face about everything (physically and verbally), and keeps the newborn from me. We’re quite laid back at home and, while I supervise to make sure he doesn’t terrorize the dog too much, I generally leave my toddler to go about his own business, so he’s not used to the constant interaction. He tries to get away when he’s had enough, but they are so persistent that he’ll generally end up seeking protection from me (aka “playing shy”). You can’t say anything to them, though, or decline a visit (especially from my MIL), because then we’re “keeping [their] grandkids from [them]”. Oh my goodness Christie your kids are like mine lol! We’re very laid back and give our kids lots of room to do their thing. Then we go to a family party and it’s all chaos haha. Or sometimes in my early days with my eldest, he’d get passed around and turns out he hasn’t slept in hours. We’ve had to remind them a lot to give them space. And eventually the kids will warm up on their own. You know your kids best, so don’t feel bad if you have to interject. I try to do it in a friendly tone, and not accusatory or ‘strict.’ Most people get it and understand why I ask them not to rile them up too much. But I agree, I also know some people where they can take it soooo personally if you so much as say anything about it to them. Another thing you can try is to let them know that your eldest likes to sit and read, or he likes to do something quiet, almost like giving your in-laws a quiet ‘assignment’ they can do with him while not assuming he’s all about a tickle-fest or loud hysterics. I suppose you can rest assure that it’s fairly rare that they do it and not every weekend! Love this one. Glad it made your top ten. Happy New Year! This is one of my favorites too Sarah. I think we can all relate to those times when we’ve had to step in for our kids. I actually wrote a whole post on why we shouldn’t force kids to hug and kiss, even relatives (https://sleepingshouldbeeasy.com/2012/05/17/3-reasons-kid-doesnt-have-hug-everyone/). My family is the same—it’s the norm for children to hug and kiss everyone, but like you, I don’t want my kids to feel like they have no choice. I do step in if they look like they’re overwhelmed. But before that, I also try to model it for them. So I’ll hug and greet everyone else. I’ll encourage my kids to do the same and ask them if they’d like to hug, but I don’t force it. If they’re adamant about not wanting to hug, I’ll ask if they’d like to give a high-five instead. We get this with ‘spoiling’ our children with gifts or sweets. The adult relative doesn’t see how giving nice things can possibly be wrong, but the children feel obliged to accept and act pleased, and this can trigger a lot of anxiety and disappointment over unwanted gifts, and too many sweets result in hyperactivity followed by tears and tummy-ache – definitely not a “treat” for a child! It is very difficult to get around this when the adult will give the things directly to the children, and then try to paint us parents as cruel and no fun to the children, and as controlling and obsessive to other relatives. I know exactly what you mean. It’s hard when adults offer it directly to the kids because they’re likely to accept it even if it’s not the best for them. Then the parents have to step in and look like the bad guy who won’t let their kids have any fun. Trust me, I know that all too well! There are definitely things I’ve let my kids have, and my relatives tend to know my house rules, but there are still times when I have to step in and say “no thanks” on their behalf.